Lionel Richie jumped off-script, rushing the stage during Monday’s live results show to save a contestant rejected by America. 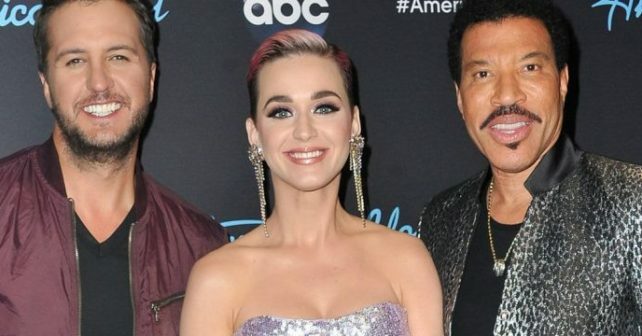 Lionel Richie jumped off-script and went rogue during Monday’s live broadcast of “American Idol,” leaving Ryan Seacrest and fellow judges Katy Perry and Luke Bryan scrambling to keep up. Well before the judges were set to make their selections of which three contestants “in danger” to save, and Katy Perry’s fiance Orlando Bloom was offering her his own unsolicited pick, the legendary crooner jumped out of his seat and rushed the stage. The moment came as Ryan was talking to the final performer of the night, Uche. The singer had just been told he hadn’t made it into the Top 10 on America’s vote and was tearfully sharing how it made him feel somewhat rejected as he’d revealed his true self in his performance prior to that vote. When Lionel jumped out of his chair and quickly made his way to the stage, the assumption was that he was going to comfort the singer he’d initially rejected during the auditions only to become on of his biggest supporters and champions during subsequent rounds of the competition. It’s not altogether uncommon for Lionel, or one of the other judges, to run up to the stage and offer a hug or support to a contestant during an emotional moment. But Lionel didn’t stop there. After hugging Uche, he started walking him toward the “safe” section of the stage, telling him that this is where a true entertainer belongs. Still at the judges’ table, Katy and Luke couldn’t believe what they were seeing, and apparently, neither could anyone else.